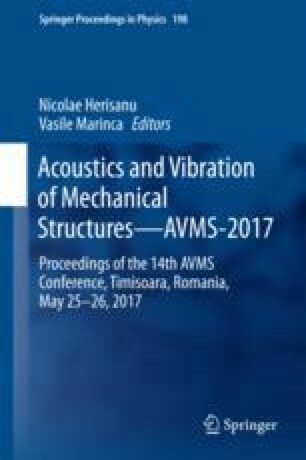 This paper proposed to realize a theoretical and experimental analysis of a vibration isolation system using a dynamic pendulum absorber. The analysis was made from simple to complex. At first, it was approached the case of the pendulum absorber system, considered as an individual system, then the case of a structural system in free vibration, without pendulum absorber, and finally, the case of the insulator-structure assembly in dynamic varied working regime. For this system was developed a set of tests and, based on this tests, was established a methodology of approach for testing in dynamic regime. This methodology allows the determining of essential dynamic parameters of the proposed pendulum system and the evaluating of their behavior in dynamic working regime.